At the 11th hour of the 11th day of the 11th month, we remember. My travels have taken me from the poppy-strewn former battlefields of Flanders to the poppy-filed moat at the Tower of London, the Canada Memorial in Green Park which points to Halifax, the Imperial War Museum to Vimy Ridge and Beaumont-Hamel in Northern France. 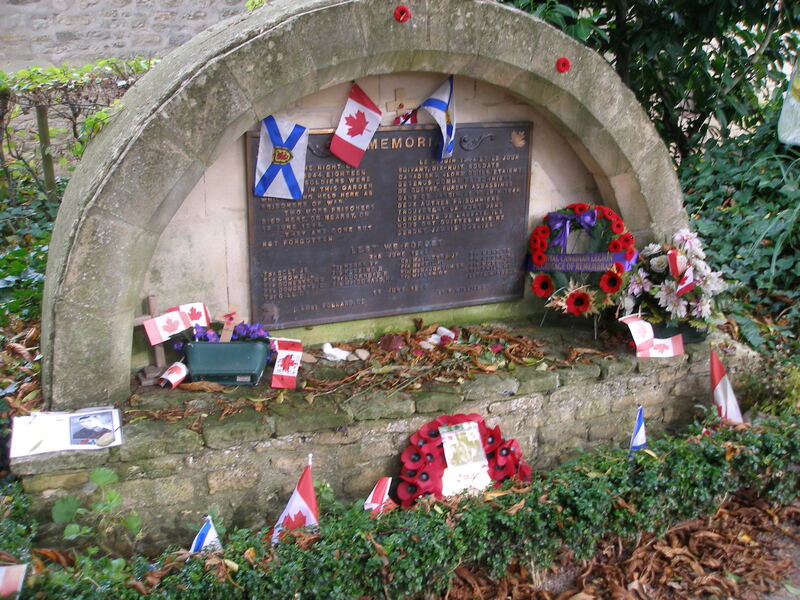 In Normandy our sites range from a garden where the SS committed a war crime against Canadians to one of our many war cemeteries. Then Dieppe. And The Netherlands. And back to French Flanders and an empty grave of a WWI Canadian repatriated home to lie in Ottawa in the Tomb of the Unknown. Then there is the magnitude of the Ring of Remembrance which lists the names of the 579,606 soldiers who died fighting in French Flanders in WWI. Finally, the Annapolis Valley memorial to the last Imperial soldier killed in WWI. I understand from Atout France that six million people a year visit their battlegrounds, invasion beaches and war cemeteries. Half of those who visit have travelled from Canada, the United States and Australia. For those who haven’t done it, a pilgrimage to these sites is worth it. They provide context and a real appreciation for what is important in life. 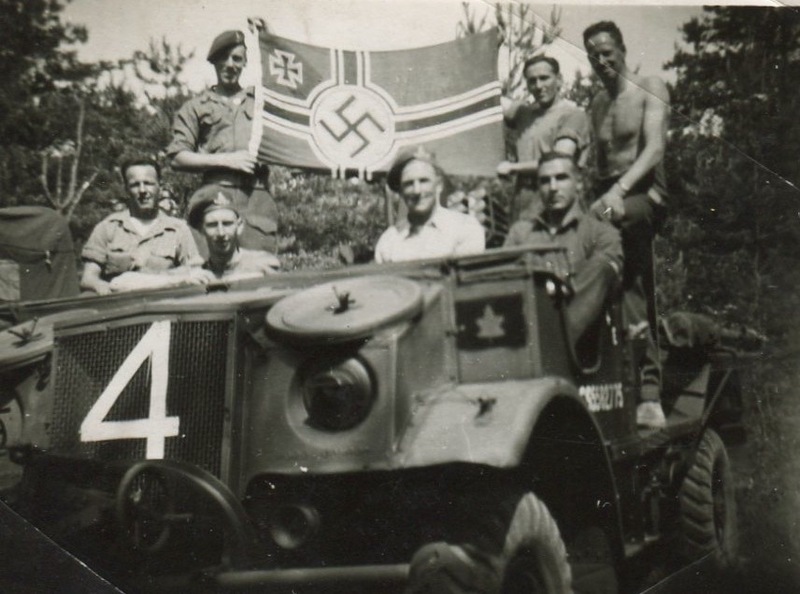 My father, far right above the ‘4’, and his comrades with a captured Nazi naval flag in Northern Holland. 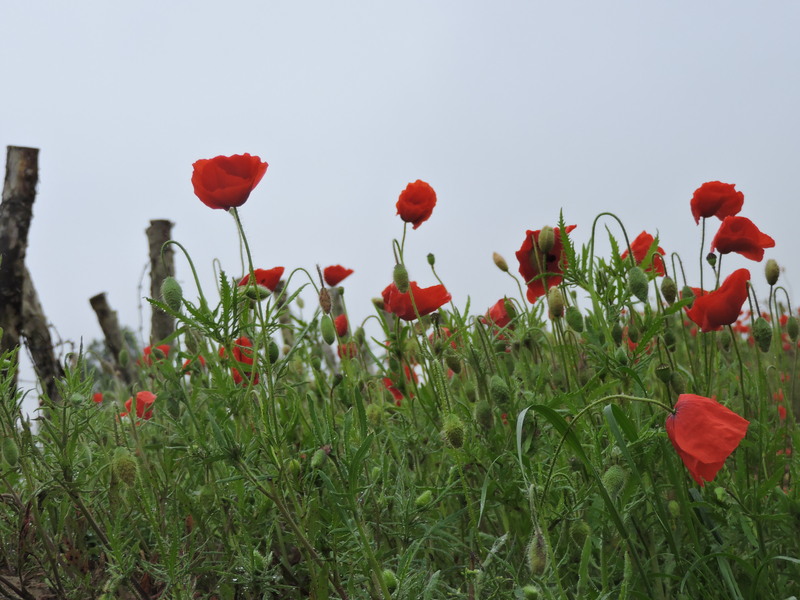 In a Flanders Field the poppies grow … they grew when Col. John McCrae wrote the poem. They continue to grow. 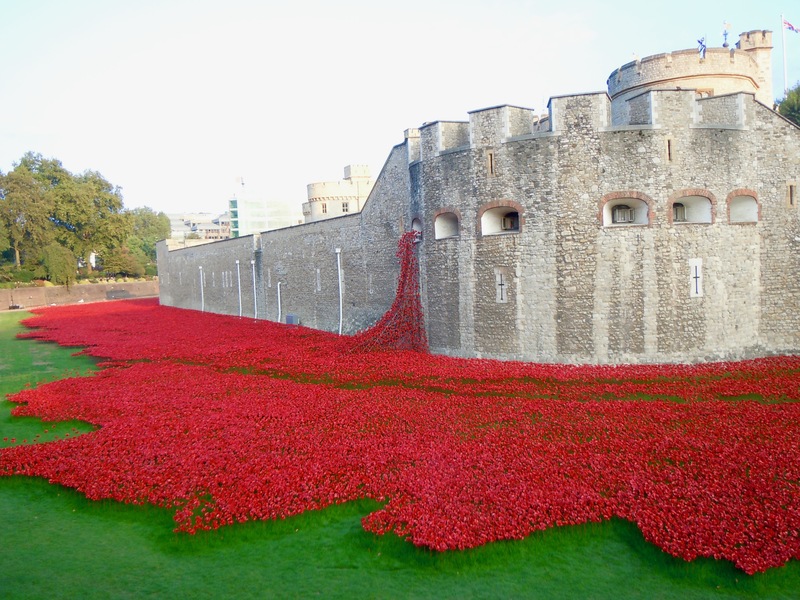 To commemorate the start of WWI, 888,246 handmade ceramic poppies were added to the moat of The Tower of London. One poppy for every British and Commonwealth soldier killed in WWI. 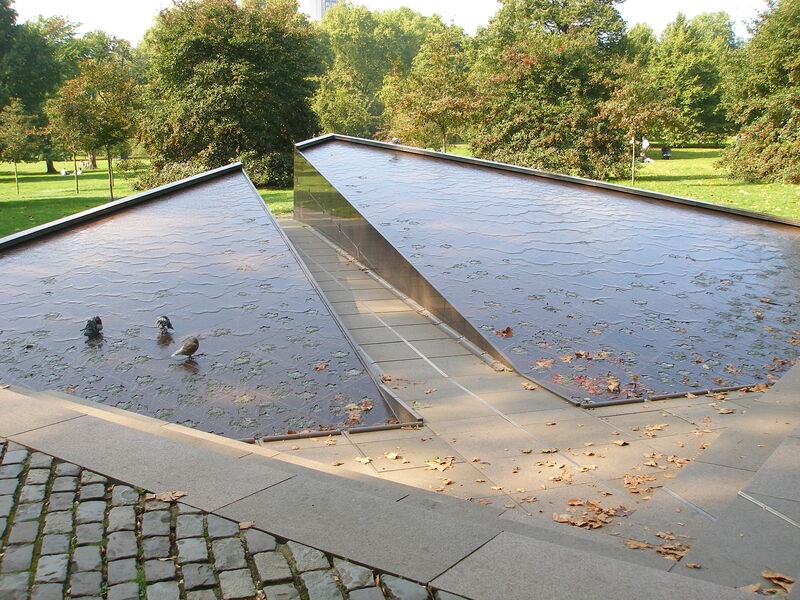 The Canada Memorial is in Green Park, within view of The Queen’s office. It has a Compass Rose pointing to Halifax, which was the departure port for the convoys which kept Britain supplied during both world wars. Halifax and Sydney were the lifeblood of the Allied war efforts. 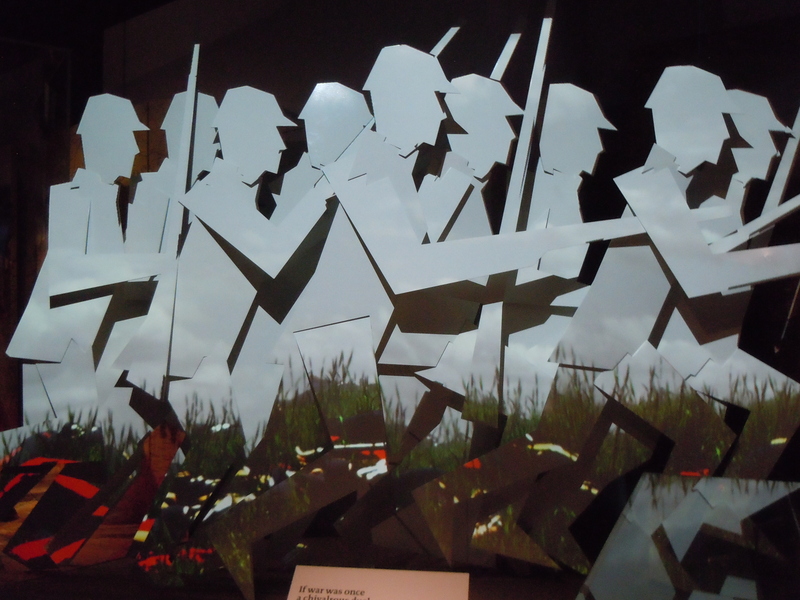 A display at the Imperial War Museum in London. The IWM was created after WWI so that people never forgot the madness and cost of war. The Vimy Ridge Memorial commemorates the heroic battle where Canadian troops fought for the first time as Canadian troops. Historians credit this act and this place as the formation of Canadian identity. It is a site so beautiful, so serene and so moving that when Hitler visited it, he decided not to destroy it. 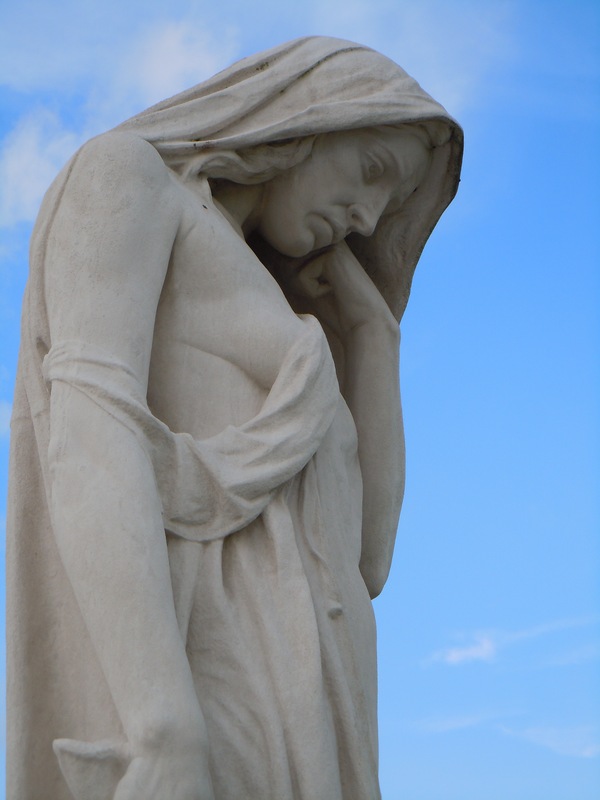 The Mother Canada statue at Vimy Ridge weeps for her lost generations. 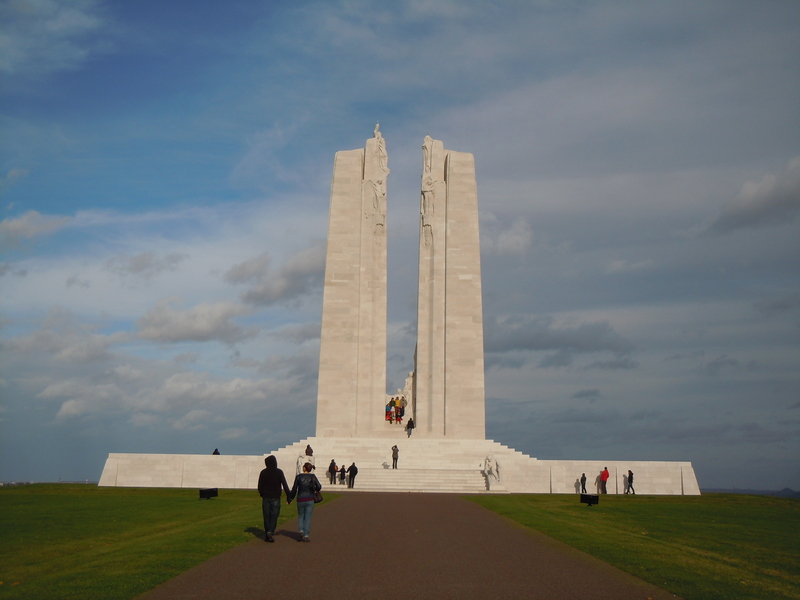 The base of the Vimy Ridge memorial is inscribed with the names of 11,285 Canadians killed in France. 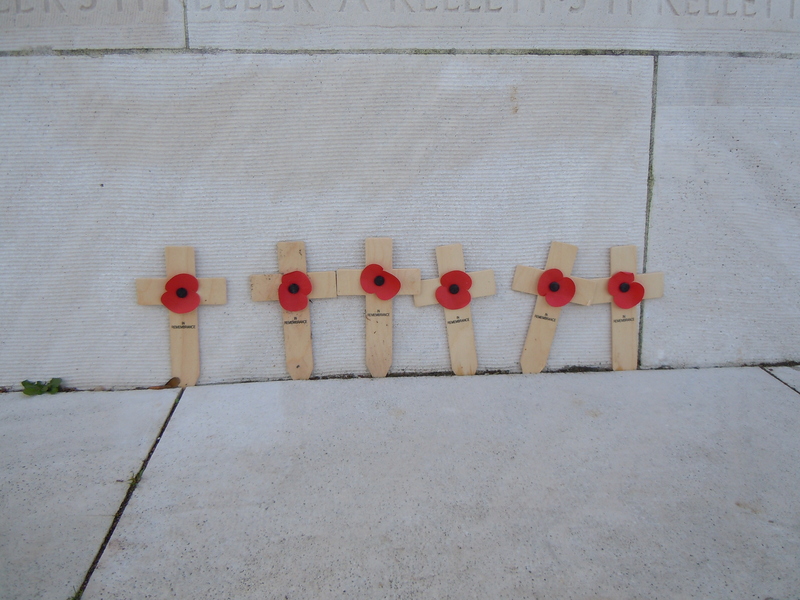 Visitors leave signs of remembrance. 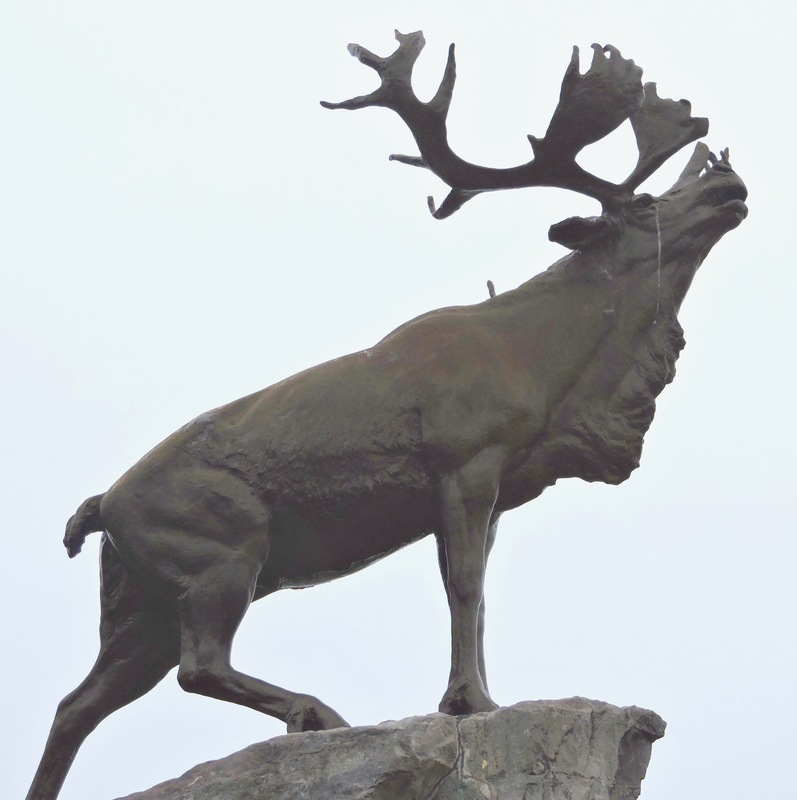 The caribou at Beaumont Hamel seems to cry for the lost generation of Newfoundlanders who perished at this place on the launch of the Battle of the Somme. The fighting was so hellish that the Royal Newfoundland Regiment suffered an 80% casualty rate in 30 minutes! 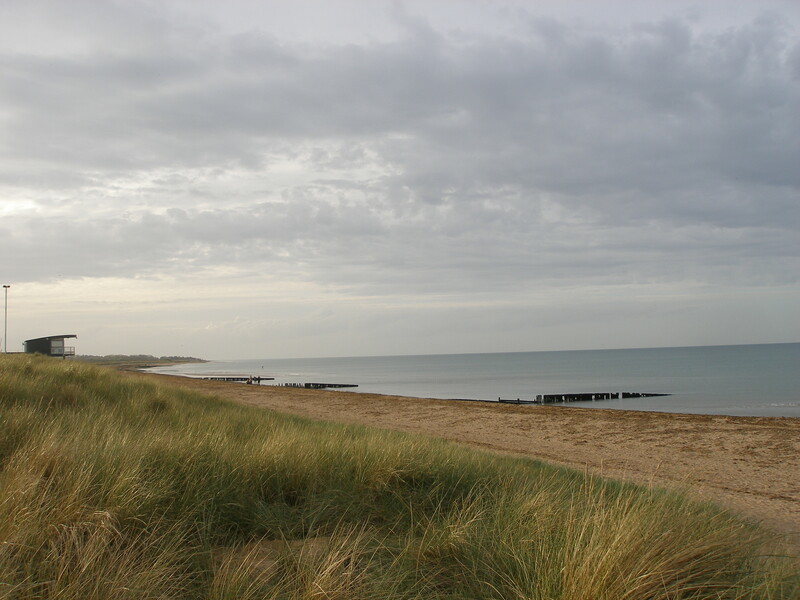 Juno Beach in Normandy was where the Canadians landed on D-Day. They were the only Allied force to meet their objective for D-Day. 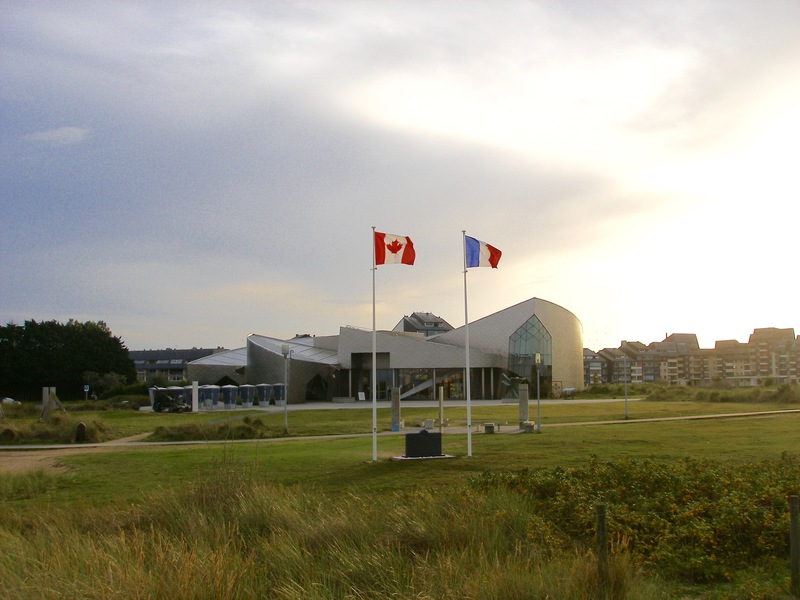 The Juno Beach Centre is Canada’s museum to WWII. It overlooks the landing beach. 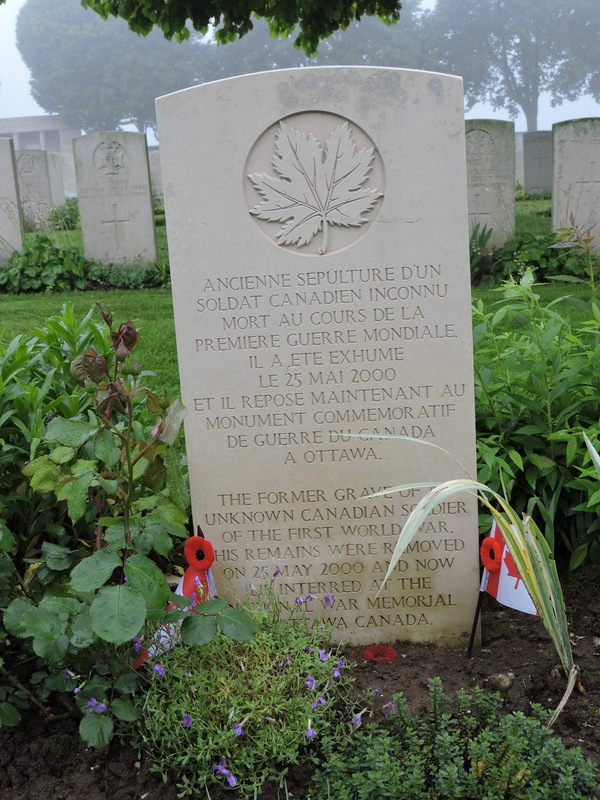 The Canadian war cemetery at Benys sur Mer near Juno Beach has 2,048 graves. This is only one of the Canadian war cemeteries in Normandy. This memorial in the Canada Garden at the L’Abbey d’Ardenne remembers the war crime committed by the Nazi SS on 20 Canadian soldiers. 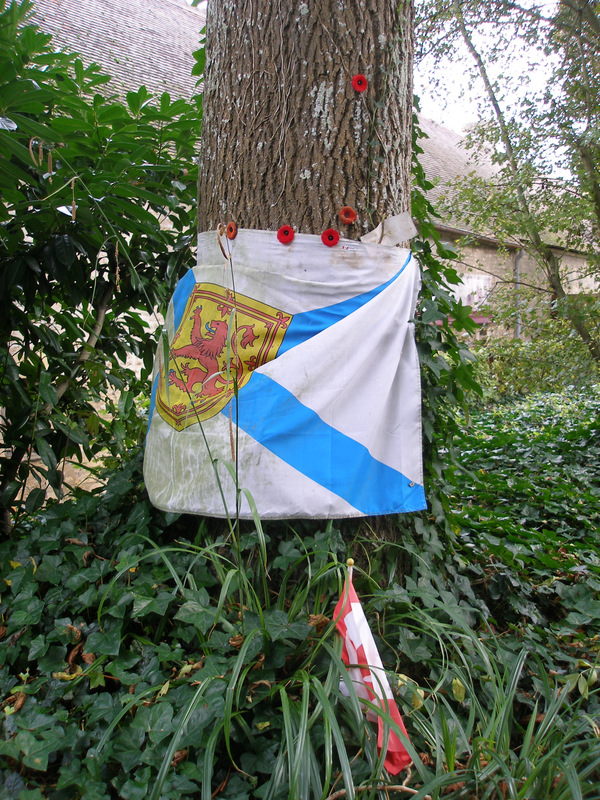 Acts of constant remembrance at the L’Abbey d’Ardenne’s Canada Garden. 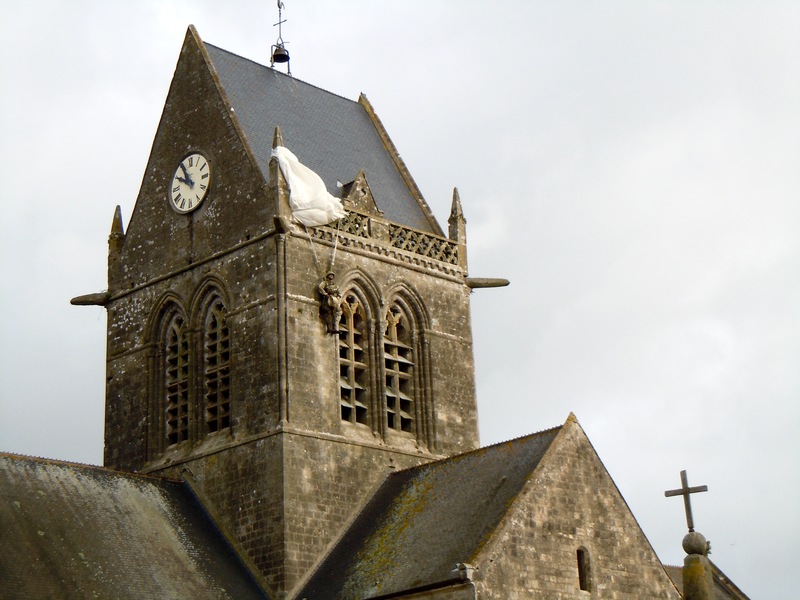 Sainte-Mere-Eglise remembers liberation by remembering US Airborne Paratrooper John Steele whose parachute got entangled in the church tower. It is an event used in the movie, The Longest Day. 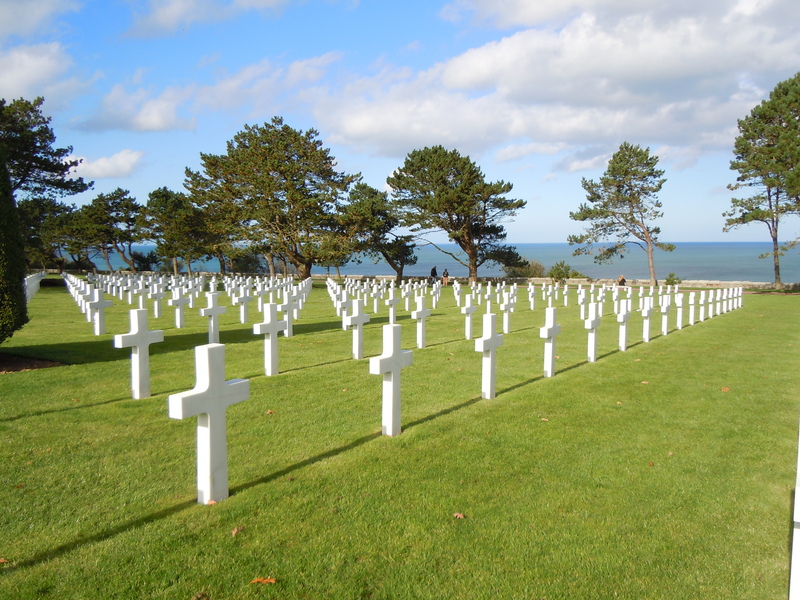 The American cemetery at Omaha Beach holds the remains of 9,387 soldiers killed in D-Day. 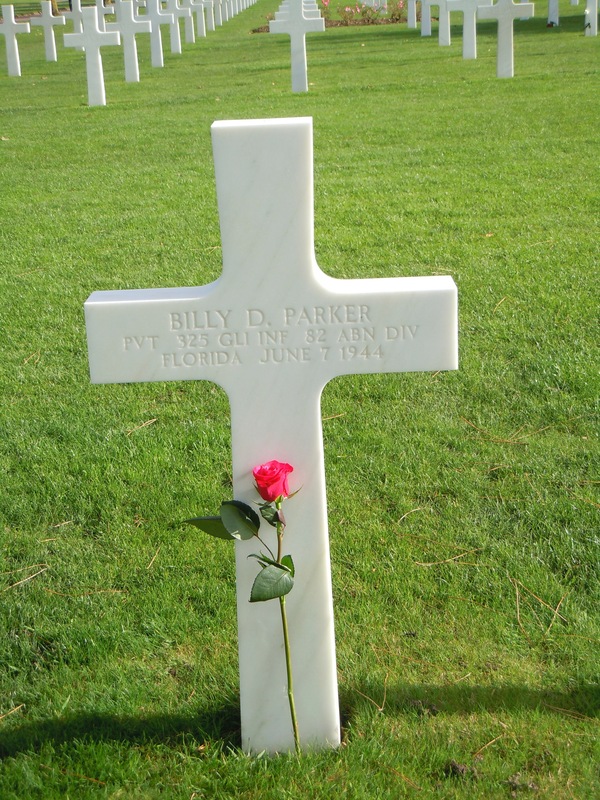 Residents of Normandy, The Netherlands and Northern France adopt graves. In on-going acts of remembrance they bring fresh flowers in thanks for their liberation. In preparation for D-Day, Canadians attacked Dieppe. This is part of one of the war cemeteries there. 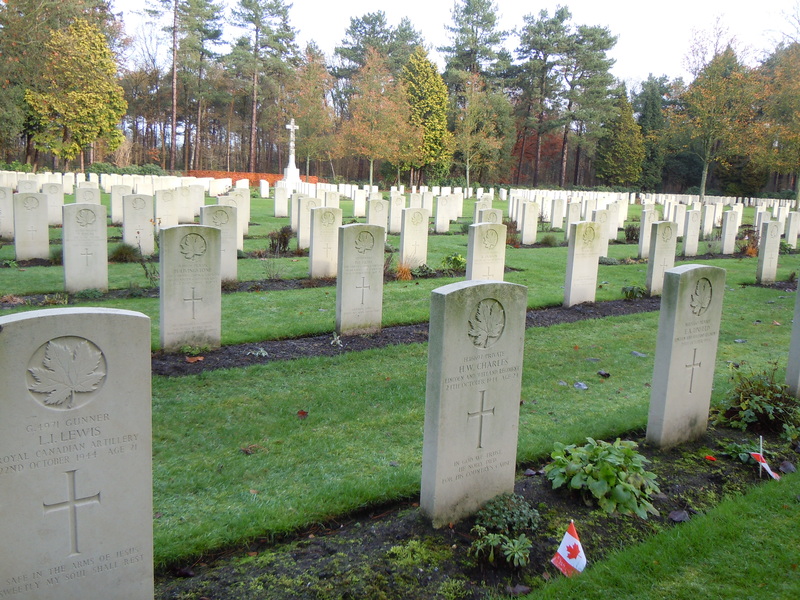 One of the smaller Canadian war cemeteries in The Netherlands, the Bergen-op-Zoom War Cemetery holds the remains of 1,169 Canadians. This one has six kilometres of edgings around the graves. 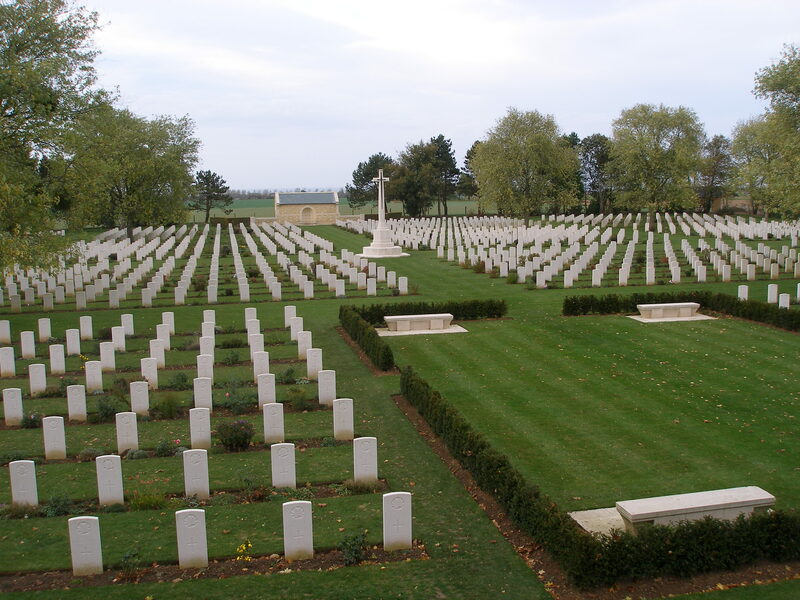 Northern France has numerous war cemeteries, memorials and battlefields. Bodies and bombs from WWI are still being found. 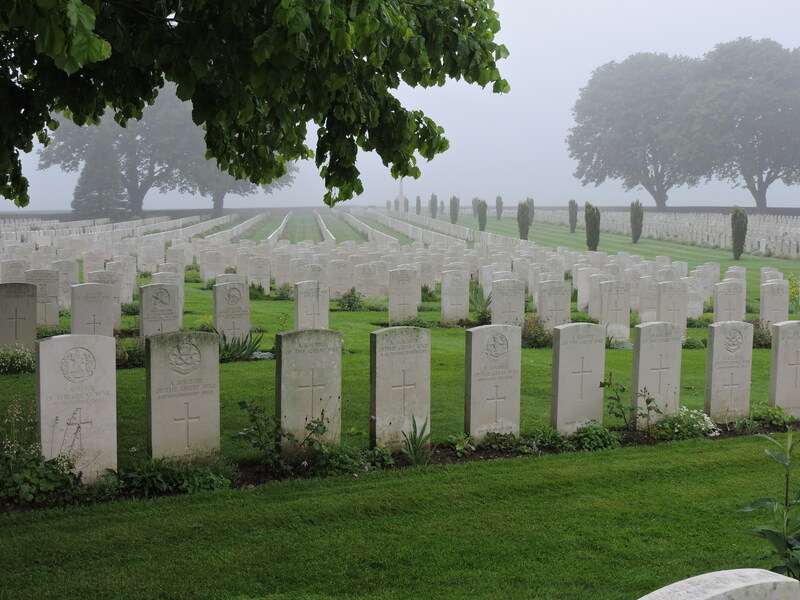 In 90 minutes I visited four cemeteries holding the remains of over 100,000 soldiers. This stone is for a now empty grave. This soldier was repatriated to Canada to lay in the National War Memorial in Ottawa. His name still known only to God. 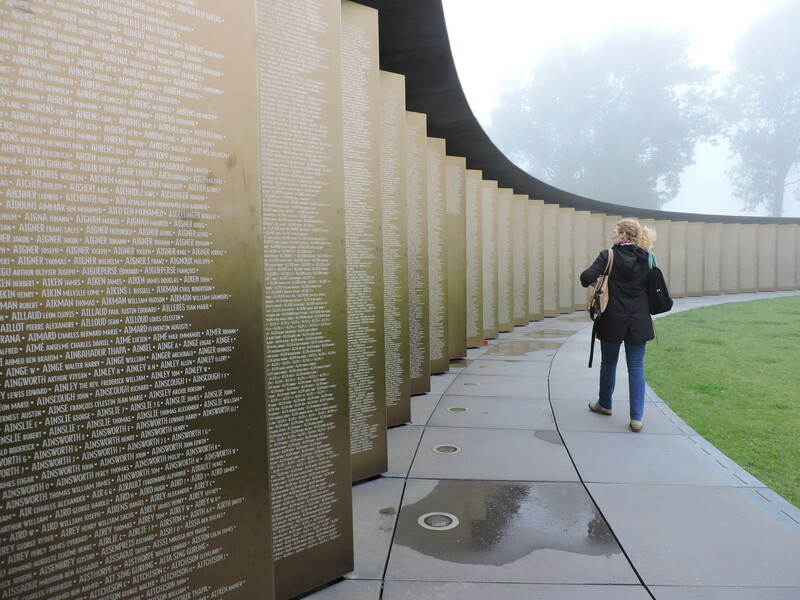 The Ring of Remembrance in Notre Dame de Lorette in Northern France lists the names of the 579,606 soldiers on all sides who died here in WWI. 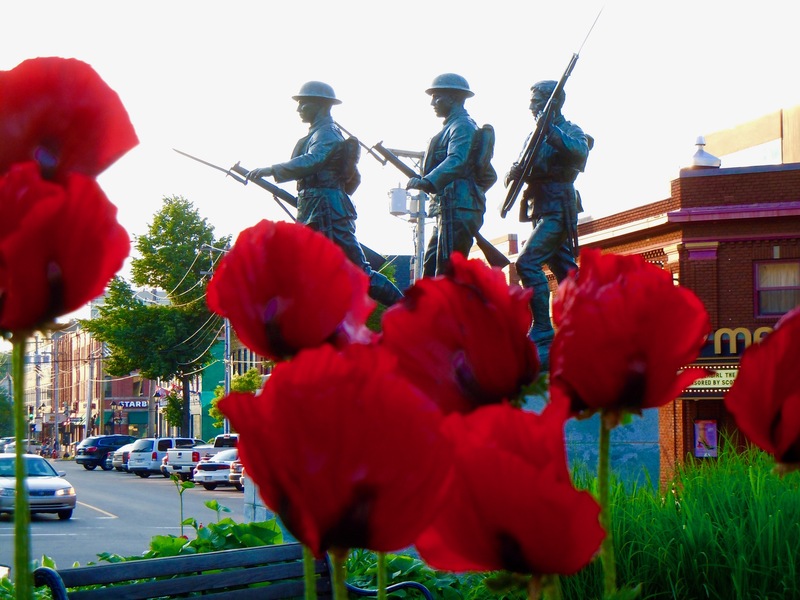 Charlottetown, the birthplace of Canada, remembers. 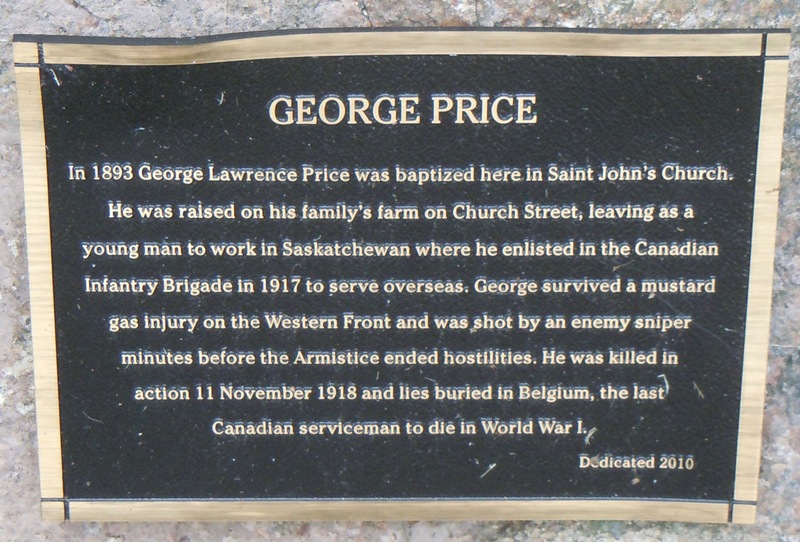 A plaque to George Price in the Anglican Church yard in Port Williams. 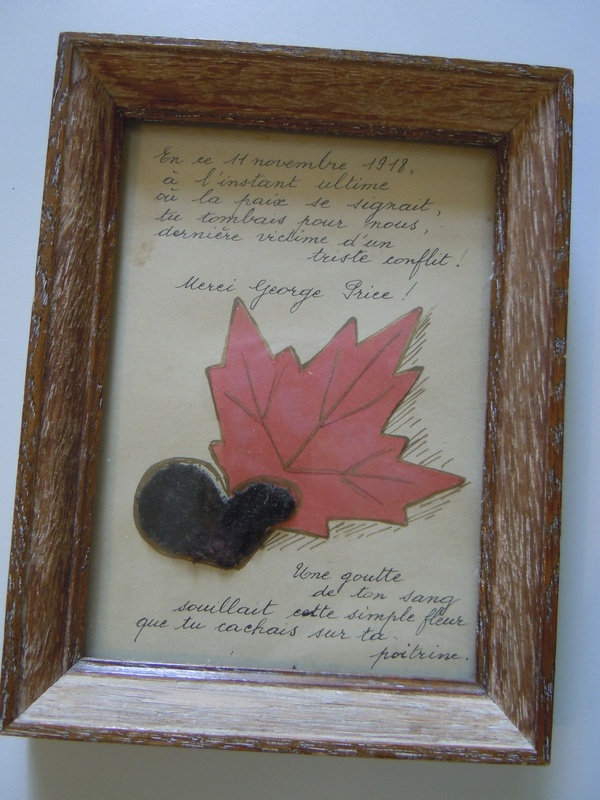 The small crocheted flower, dark with the blood of George Price, was preserved and framed by a young Belgian woman that he gave it to as he lay dying. 70 years later her daughter returned it to his nephew. 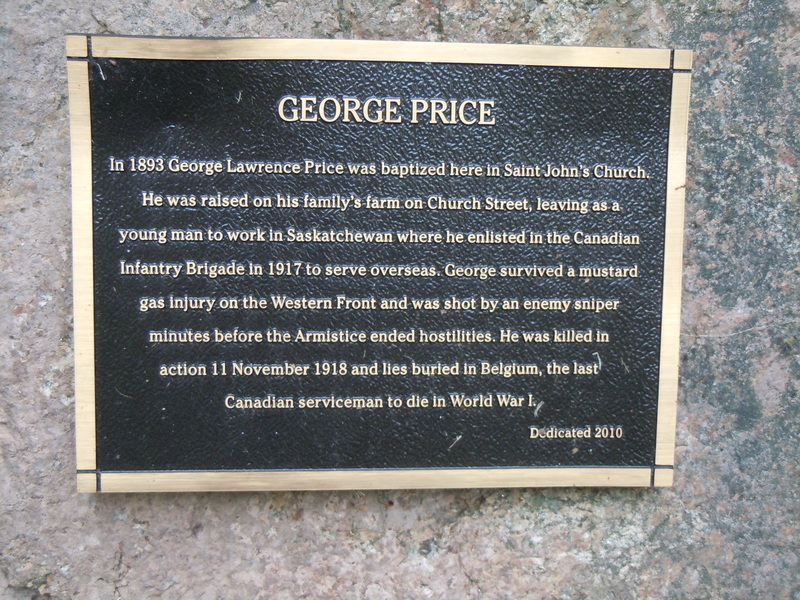 The last Imperial soldier killed in World War One was George Price from Port Williams, Nova Scotia. Under the terms of the Armistice hostilities would cease at the 11th hour of the 11th day of the 11th month. According to Margrete Kristianson, a curator at the Prescott House Museum in Starr’s Point, near Port Williams, Price was shot by a sniper at 10:54 and died at 10:58 am, two minutes before war’s end. In the last four minutes of his life Price gave the crocheted flower his girlfriend in Saskatchewan had given him to a young Belgian woman who had run to his aid. At a 1991 dedication of a bridge in Belgium near the spot where Price was shot that girl’s daughter gave the framed, blood soaked flower to Price’s nephew, George Barkhouse of Kingsport. Barkhouse, who was born after the war, says his mother and grandmother had been in Port Williams with other family members and community residents celebrating war’s end, then came home to the crushing news of Price’s death.